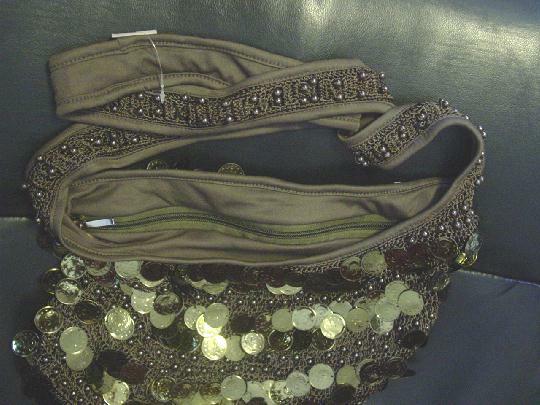 This never-used dark olive green with a touch of khaki loose knit purse has a top side to side zippered closure. See the 4th picture for more accurate color. The front, back, sides, and bottom have rows of thin plastic brass-tone faux coins which have designs on both sides. 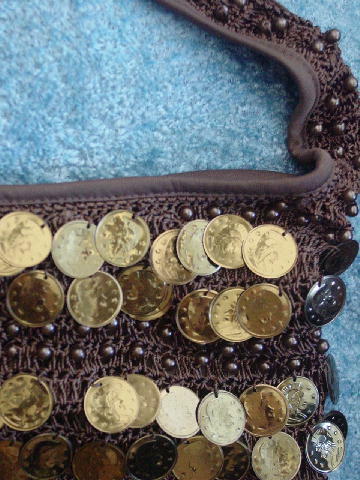 Between the double rows of faux coins are two rows of large dark olive beads. The interior has an olive green fabric lining with an interior zippered pocket. 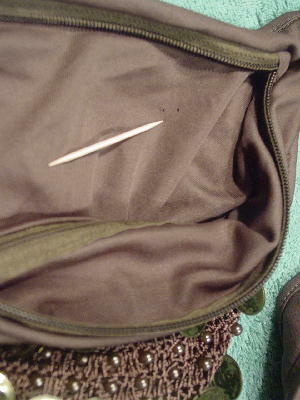 The lining has three small holes on the opposite side of the zippered pocket. 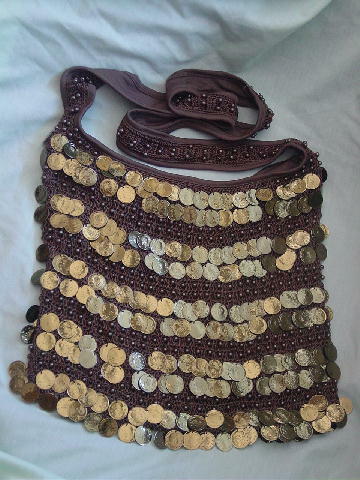 The 44" long by 1 5/8" wide long shoulder strap has rows of the large beads. A Miami model got it as a birthday present from her now-exboyfriend.